Well bat fans are you ready for the DLC content to hit or are you still a set of chattering teeth away from finishing the game, either way the new DLC is on its way and there is nothing you can do to stop it now. Joystiq reported: We haven't spent much time at the main menu of Batman: Arkham Asylum, largely because those are precious seconds we could spend actually playing. 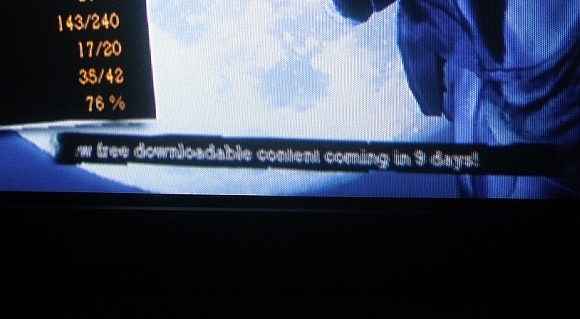 But if you can hold out for just a few moments and watch the news ticker at the bottom of the screen, you'll see the totally exciting news that free DLC for the game is coming in 9 days (or Sept. 17 by our count). We're trying to find out what, exactly, this content infusion entails, but in the meantime we'd like to know what you're hoping for. Will you be satisfied if it's just another challenge room?